SALT LAKE CITY, UT– SEARCH Group Partners, a boutique recruiting firm headquartered in Utah, announced today their exclusive partnership with Influence Real Estate to lead the search for top Real Estate Agent talent throughout the Utah market. SEARCH Group Partners plans to hire over 60 new realtors in the Utah market providing top-tier, independent Real Estate Agents to Influence Real Estate. Since launching the firm in 2010, Influence Real Estate’s staff has nearly tripled. The firm has already brought on board 35 new real estate agents this year. As a result, the highly successful firm has been expanding its offices. Influence is opening another location in the southwest part of the Salt Lake Valley by the first quarter of 2015. SEARCH Group Partners’ initial search is expected to retain 60 new Real Estate agents for Influence Real Estate within the next year. Interested candidates should contact Molly Gillespie, Sr. Recruiter at SEARCH Group Partners at 801.535.4620 or molly@searchgrouppartners.com.  SEARCH Group Partners(SGP) is a premier boutique recruiting firm, with offices in Utah, Tennessee and New York, conducting searches on a nationwide basis. SGP provides professional talent acquisition and consulting services. The services SGP offers include temporary, temporary-to-hire, permanent placement, consulting, executive search, on-site solutions, outsourcing, and talent development. SGP’s customized searches and individual attention is dedicated to the following niches: Accounting & Finance, Office & Administrative, Technology, Health Care & Life Sciences, Supply Chain, Industrial, Real Estate, Marketing & Creative and Executive & Senior Management. Influence Real Estate is a boutique real estate firm founded in an effort to raise the bar of the real estate industry. Influence Real Estate specializes in providing services to buyers and sellers in every market from first-time buyers to luxury real estate listings and relocation services. Each member of the Influence team is committed to a standard of service that will delight clients. Influence Real Estate’s elite team is comprised of some of the top producing agents in the market.